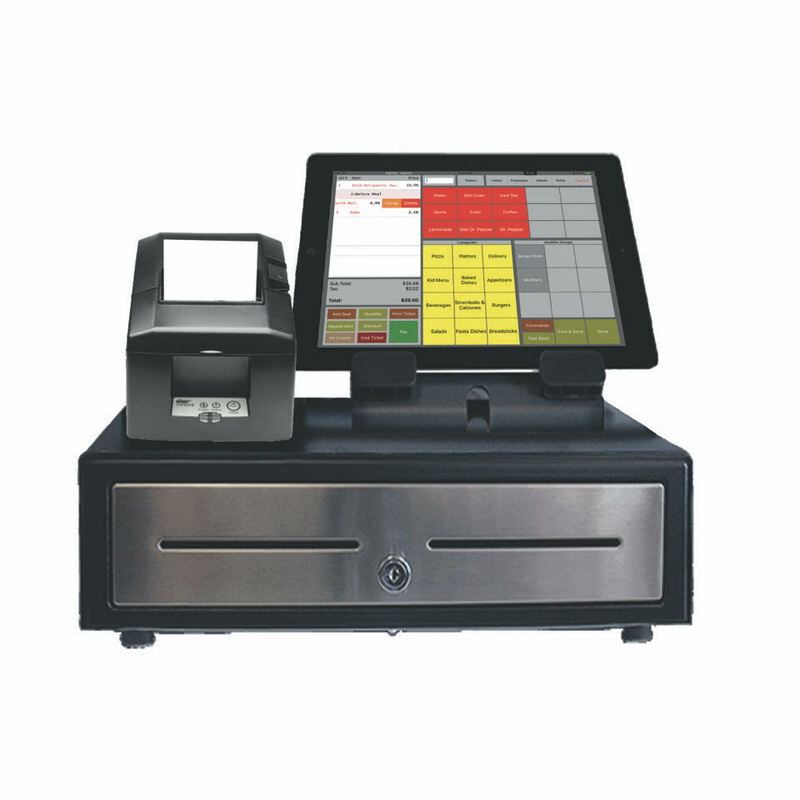 The Clover Family: Clover is one of the most popular POS systems on the market today. Designed from the ground-up by First Data, Clover is built with merchant’s specific needs in mind. Clover makes running your business easier – take payments more quickly, manage inventory, products, employees, and communicate with your customers in more ways than ever. Accept all of the newest forms of payment (like EMV and Apple Pay) while also offering gift cards, paper check acceptance, PIN debit, digital signature capture, and more. Use your mobile phone with Clover Go to accept iPhone/Android sales as well. Clover is customizable, so you can build a system that meets your business’ unique needs. Read on to learn about different Clover options. Clover Mini can be used either as a standalone device, or in conjunction with the Clover Station. When used as an “all-inclusive” device, Mini will do everything your business needs without any additional hardware or accessories. Clover Mini has a small footprint, easy-to-use touchscreen, and a built-in printer. You can even accept PIN-debit through the Mini’s touchscreen. 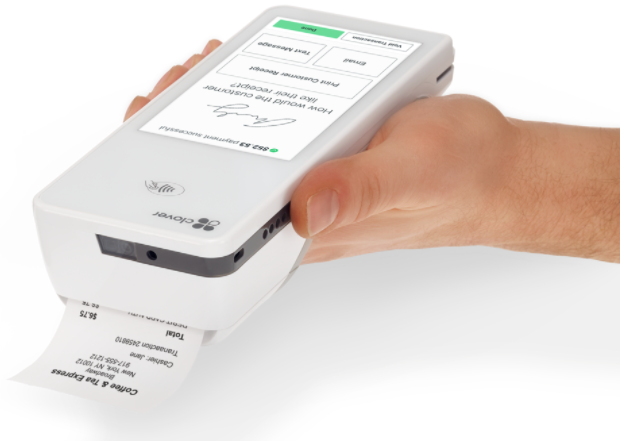 Clover Mini is perfect for medium-sized retailers who have a fixed location for their POS. Accept any kind of transaction, right out of the box – EMV, Pin-Debit, Chip+PIN, and Apple Pay. Adjust tips by requesting tips “on-screen” prior to the sale completing, or you can request tips on a printed receipt and adjust at the end of the day. Beautiful 5″ High-definition Gorilla-glass screen. Built-in Barcode scanner to manage your inventory. Real-time inventory (requires use of the Register plan, see below). Internal thermal printer, so there’s no need to head back to the counter to print a receipt. Long-life battery to last all day – up to 8 hours. Connects via WiFi or 3G (for an additional $15/month). Clover Station is the “flagship” Clover product, designed for larger restaurants and retail establishments. Station typically won’t make sense for smaller retailers, but it serves as a perfect back-bone for larger organizations. 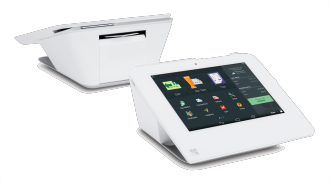 Boasting a large 11.6″ touchscreen and heavy-duty receipt printer, the Clover Station is designed to be the “hub” of your POS setup. Connect with Mini/Mobile units for additional functionality, manage complex inventories, and integrate all of your accessories like printers, barcode scanners, and more. The Clover Station truly does it all. 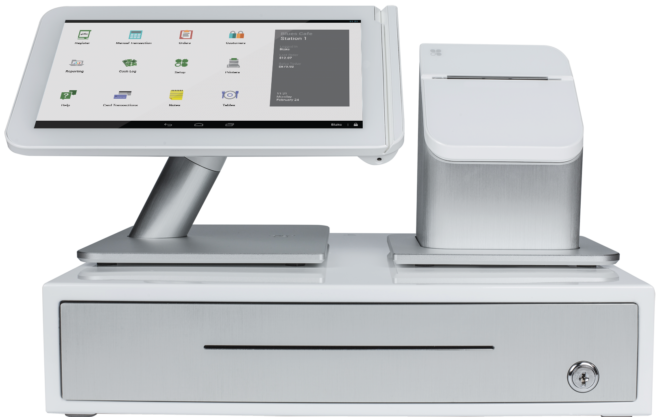 Retail and restaurant owners choose Paradise POS and our innovative iPad POS software because it combines legacy POS system functions with the convenience and simplicity of the iPad interface. Paradise POS also offers extra elements that make running your business easier, like customizable features and a secure system, all backed by our dedicated customer support team. Keep scrolling to get comparison of each Clover solution.